From Williston, go west on US 27 Alternate. After about 4 miles, turn right on NE 151 Terrace. Then turn right on NE 49 Lane, and then quick left on NE 152 Ave. House on right at sign. Remarks: Well loved and maintained home on large spacious lot just west of Williston. Don&apos;t miss this one! 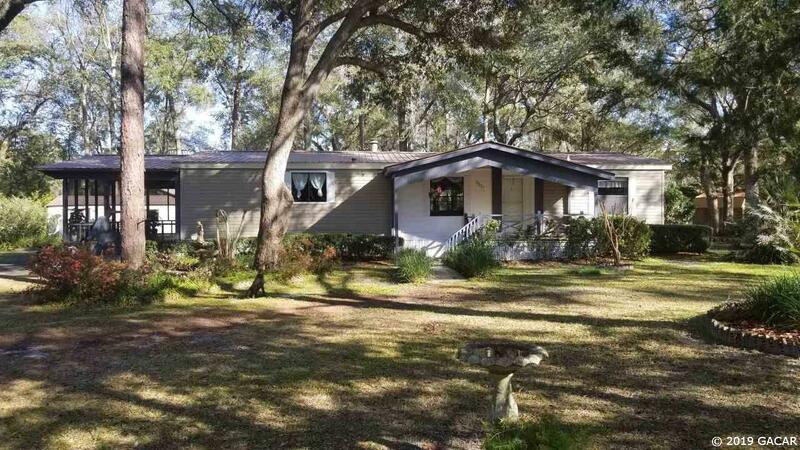 Lots of extra value here with huge screened porch, front porch, carports and also extra buildings. New flooring in kitchen, and wood floors were added a few years back in other areas. Lovely yard with old growth azaleas and landscaping only add to the appeal of this well priced home! Sold furnished!